Fundraiser by Barry Maxwell : Street Lit Authors Club: Missoula! Street Lit Authors Club: Missoula! 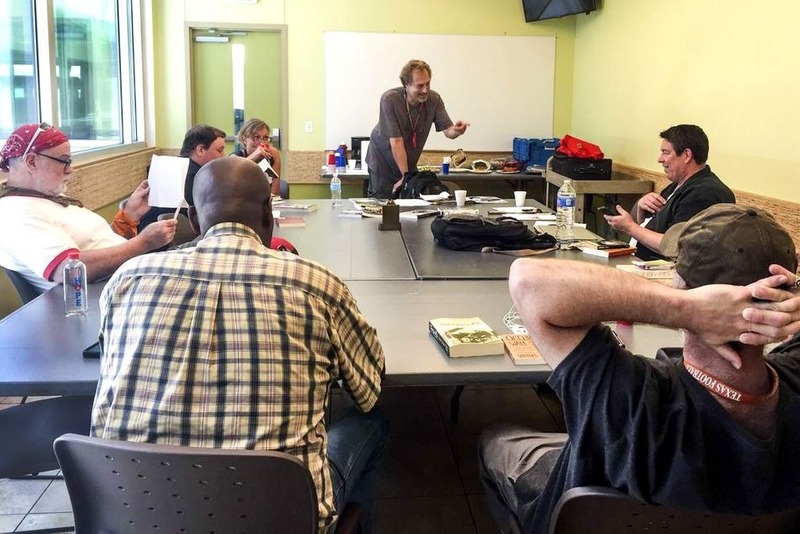 The Street Lit Authors Club helps those experiencing homelessness in Missoula to tell their stories, and supports them in finding their voices on the page. In cooperation with the Poverello Center, Street Lit delivers free books and offers creative writing workshops in a relaxed and non-judgmental environment. We lend encouragement and mentoring, foster open expression, and honor the strength in those whose stories so deserve a rightful telling. Positive new connections are formed, and empty pages are filled with art that might have never come to light. Your partnership keeps the words flowing. Please, help us bring more voices into the world in 2018 and in years to come. I'm Barry Maxwell, the founder of Street Lit and the Street Lit Authors Club workshops. The project began in 2013 in Austin, growing from a one-off book drive into an ongoing donations hub serving the Austin Resource Center for the Homeless, the downtown shelter where I lived as a client for nearly two years. The workshop in Missoula is still young. The first was in early May of 2018, and I'm happy to report that the group is growing steadily. A core of regulars are bringing their writing projects to the table, and the word is spreading. New folks drop in out of curiosity (or for the coffee) and then come back for the writerly conversation, the chance to share their own words, and to join in the discussion of others' work. As it was in Austin, I walked in braced for failure, and found instead a community waiting for way to connect. I couldn't be more thrilled with the progress we’ve made so far. And wow--we were chosen by The Austin Chronicle as a 2016 “Best Life Changer .” What an honor! 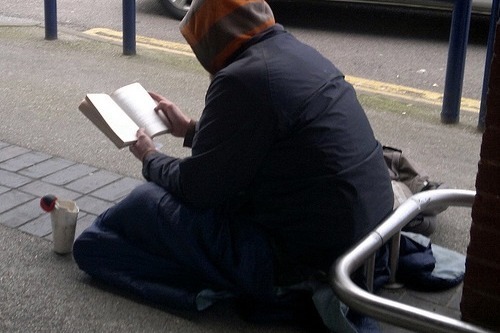 How will your donation help the Street Lit authors? ~ Sturdy-backed pads or composition books, and pens by the bushel. ~ Printing costs for handouts and course packets. As Marge Piercy writes in her poem, “To Be of Use,” the Street Lit Authors Club is a “thing worth doing well done,” with “a shape that satisfies, clean and evident.” These newly-inspired authors deserve all the help we’ll give them. I hope you’ll join in this work through your donations, and nurture the Street Lit Authors as they grow.